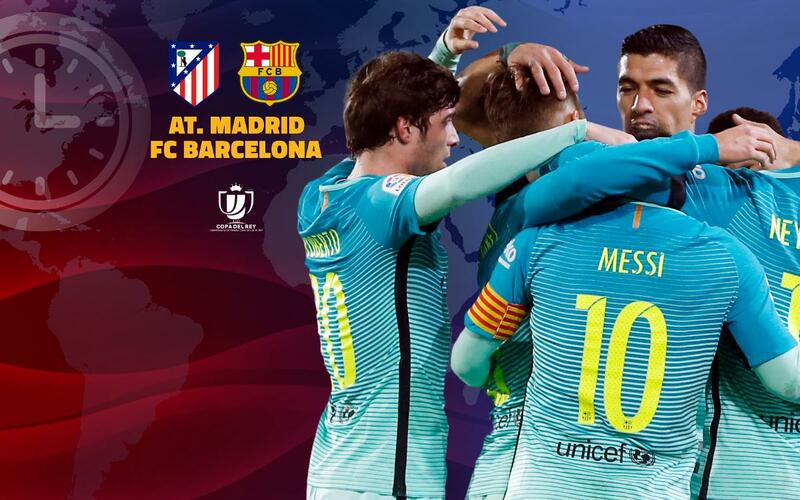 FC Barcelona face Atlético Madrid in the first leg of the Copa del Rey semi-final at the Vicente Calderón from 9.00pm (all times CET). The blaugranas have progressed in the cup competition having knocked out Hércules, Athletic Club and Real Sociedad. The Catalans are 180 minutes away from a place in the final but they face a challenging tie against Simeone’s men. Luis Enrique’s side will be looking to come back from Madrid with a positive result ahead of the return leg at the Camp Nou as they seek to win the Copa for the third year in a row. To find out when the game is kicking off where you are, check out this guide. If it’s not being shown in your country or region, don’t worry as you can also follow the live commentary in English on Radio Barça, and our minute-by-minute updates on social media throughout the match. We’ve got you covered!